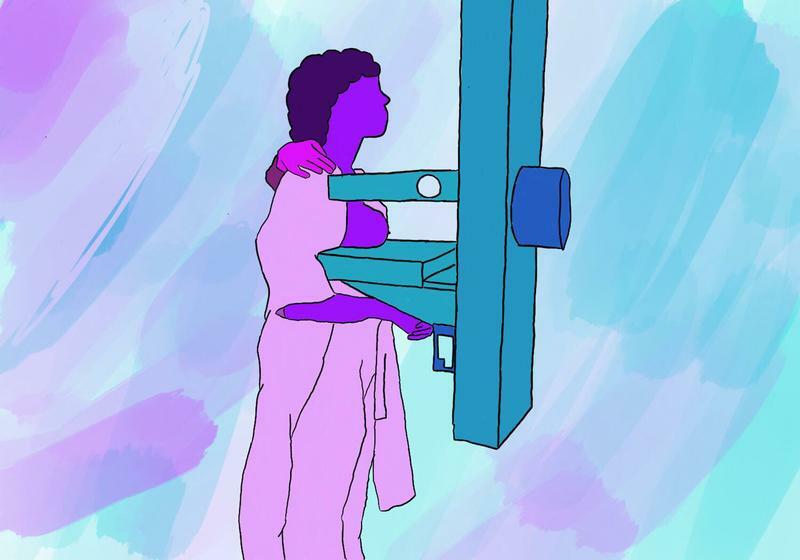 In October, BC became the first province in Canada to require healthcare providers to give women information about their breast density after they receive a mammogram, information that was previously available only upon request. The change followed a external review completed in July by Dr. Andrew Coldman, a scientist emeritus in the UBC School of Population and Public Health. BC Cancer requested the review, which assessed the current state of knowledge on breast density and breast cancer, in response to increasing concern over the issue. There are many kinds of tissues in breasts, which can be broadly classified as “dense” and “non-dense.” Women with dense breasts have a higher proportion of dense tissues, although breast density has no relation to size or feel, and can only be determined through a mammogram. According to data from 2015, around a third of women in the BC Cancer Breast Screening Program (BCCBSP) qualify as having dense breasts. Coldman used three different approaches to analyze breast density and breast cancer as part of his report. The first was a review of the existing literature relevant to various aspects of the relationship between breast density and breast cancer. The second was an analysis of BC data — undertaken in partnership with BC Cancer — aimed at gathering more details about the specific effects of breast density on women who are a part of the BCCBSP. The final approach was a panel of knowledgeable individuals from a variety of fields who contributed to a broader understanding of the issue. During his inquiry, Coldman identified several important findings about breast density and the risk of breast cancer, as well as the effectiveness of alternate methods of screening for breast cancer, different methods for measuring breast density and the factors that influence breast density. While the analysis of BCCBSP data found an increased risk of breast cancer associated with increased breast density for women of all ages — a finding echoed in the rest of the literature — that increased risk was much less pronounced in women over 50. Coldman stressed, however, that there are many factors that affect a woman’s risk of breast cancer and it is important not to overstate the relative effects of breast density. “Most women won’t develop breast cancer, even women with dense breasts,” he said. The literature also turned up evidence of a “masking” effect of increased breast density that can make cancers more difficult to detect with a mammogram. Based on his findings, Coldman made three broad recommendations. The first was to develop a plan to systematically communicate breast density information to women. Coldman believes that while breast density is not the most important risk factor when it comes to breast cancer, communicating density information may allow women to mitigate the increased risks, as there is some evidence that suggests density can be altered through lifestyle changes like diet. His second recommendation was to continue re-evaluating the current techniques for measuring breast density and be alert to new findings that could potentially improve the measurement process. Finally, Coldman recommended monitoring the state of research on the effect of different imaging techniques — like breast ultrasounds, breast MRIs and breast tomography — on breast cancer prognoses. While there is some evidence indicating breast ultrasounds may improve prognoses, Coldman turned up no findings conclusive enough to lead him to recommend imaging beyond regular mammograms. “The ultimate aim of breast screening is not really to diagnose breast cancer, that’s really just a step in the path. The objective is to diagnose it at an early enough stage where it makes a difference to the women’s prognosis,” he said.